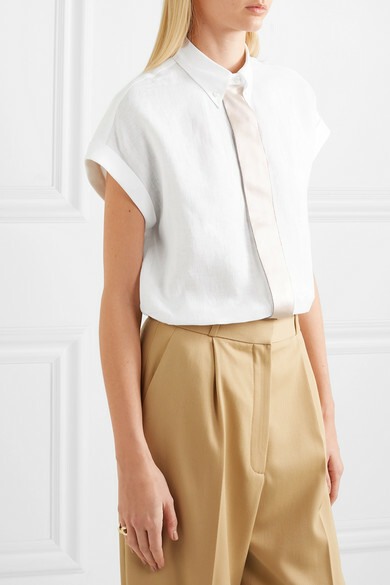 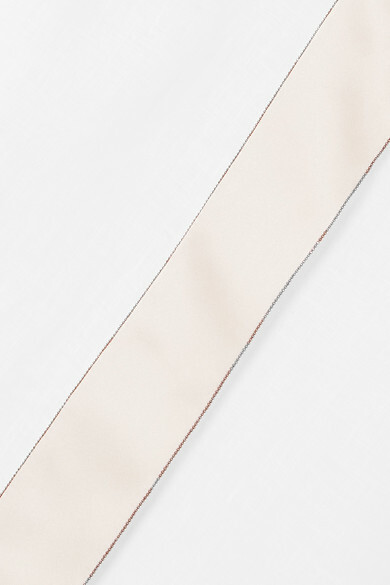 Annie Hall springs to mind when looking at Brunello Cucinelli's shirt because at first glance the strip of ecru satin running down the placket resembles a tie - which Diane Keaton famously wore in the film. 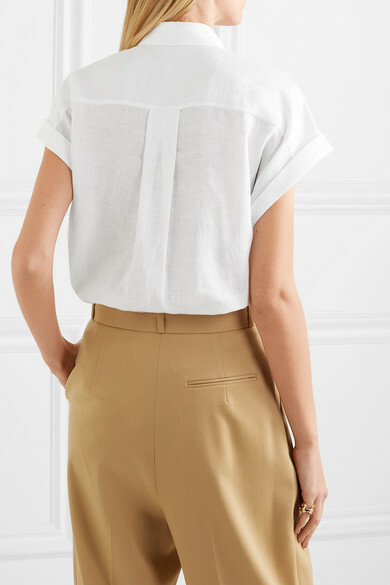 Cut for a slim fit, it's been made in Italy from breathable linen and has a button-down collar inspired by menswear. 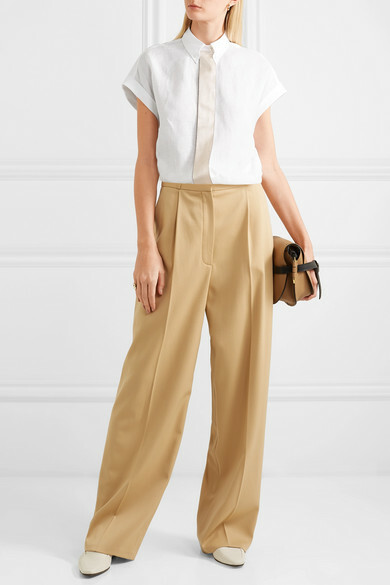 Shown here with: The Row Pants, Loewe Shoulder bag, The Row Loafers.